True Water Australia recently provided a state of the art Kubota STP (Sewage Treatment Plant) for the Clarence Valley Council. The Kubota STP replaced a failed septic system and will help clean up the environment for locals and holiday makers. The Wooli Holiday Park is right on the coast in northern New South Wales. The natural environment around the council owned park is extremely sensitive. 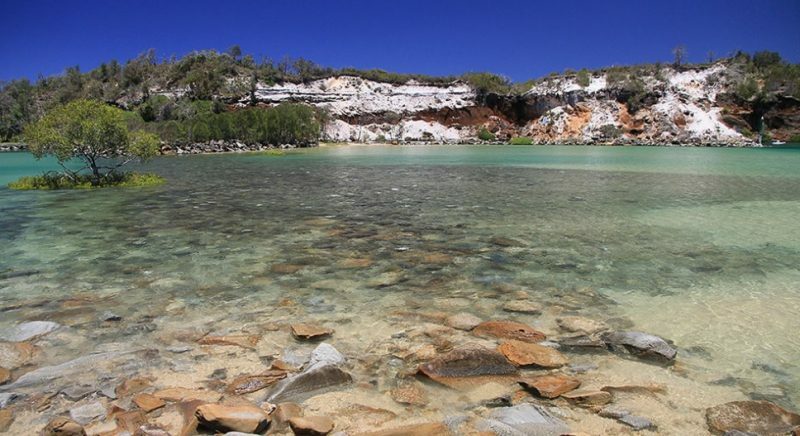 The Wooli river is pristine, the river is clear and safe and popular for swimming and fishing. Wooli rivers famous Oyster are farmed only a few hundred metres from the sewage treatment system discharge. These are just of few of the reasons Clarence Valley Council upgrade the commercial sewage system for the park to a state of the art Kubota STP. The majority of the Wooli is perched on a thin peninsular of land located between the pacific ocean and the Wooli river.At peak periods such as Christmas, Easter and school holidays, tourists flock to the popular beachside town. At times the 64 site holiday park can accommodate over 250 visitors keen to enjoy the beaches, river and beautiful scenery. Years of septic tank release has resulted in the pollution of ground water and the need for all sewage systems servicing homes in the town to be improved. In 2015 Clarence Valley Council decided it was time to lead by example and upgrade the Commercial Sewage Treatment Plant (STP) servicing the councils holiday park. The sewage system for the holiday park is a state of the art Kubota Sewage Purification System providing Class A treated water. The biological processes within the Kubota STP ensure reliable and cost effective treatment and will provide the highest level of public health and environmental safety for many decades to come. True Water Australia’s works included the commercial sewage system design, sewage engineering and the upgrade of all drainage at the site and the installation of new pump wells and sewage infrastructure. Now the project is completed, True Water Australia will provide maintenance and management service to the park.